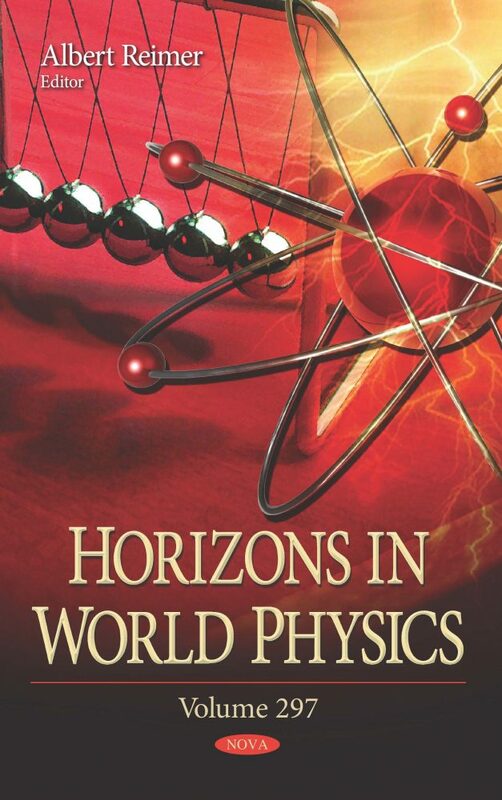 Horizons in World Physics. Volume 297 describes the fabrication and characterization of magnetic field tunable capacitors based on La1–xSrxMnO3/SrxLa1–xTiO3 epitaxial multilayers. The multilayer structures were grown by magnetron sputtering and characterized comprehensively by high resolution transmission electron microscopy combined with electron energy loss spectroscopy, x-ray diffraction, low-angle x-ray reflectivity, direct current charge transport measurements and magnetic field dependent alternating current impedance spectroscopy. Next, the authors deal with mass spectrometric characterization of atoms, radicals and ions in magnetron sputtering discharges generated in Ne, Ar, Kr and Xe gases. In these discharges, different kinds of species are generated according to the magnetron target and the kind of sputtering gas used. The procedures and techniques used to suppress Brillouin scattering in lasers are also reviewed. The three different categories of Brillouin suppression methods are discussed in detail, and the authors comment on the effectiveness, ease of implementation and cost of these techniques. This compilation goes on to discuss how computing the capacitance of a system of bodies represents a classical problem, the study of which began in the works of Maxwell and Rayleigh. In practice, bodies may be placed into a medium which can contain defects influencing the mutual capacitance of a pair of bodies and, as a result, the capacitance of the system of bodies. A new design of collimator is proposed that has variable sensitivity and spatial resolution, eliminating the need for exchanging collimators in a radiation camera. Using Monte Carlo simulations, the authors aim to evaluate the shielding of undesirable radiations in a newly proposed collimator. Using the gravitational mass spectroscopy, the influence of the gravitational noise of the universe on the long-range order in collagen was studied, as well as how the neutrino flows from the neutrino halos of the collagen domains run to the TXS 0506 + 056 blazar. A mechanism of the reversible destruction of the collagen domains was proposed, and an ensemble of black holes was concluded to be present inside the blazar. Afterwards, the influence of the gravitational noises of our galaxy on long-range order of molecular clusters and super micellar structures in potato and water was analyzed from 2003 to 2018 by the method of gravitational mass spectroscopy. It was found that the appearance of molecular clusters in biomatrix and liquid water is not stable, they reflecting the state of the GN in our sector of galaxy. Lastly, the authors propose an approximation for the Schrodinger equation, giving the expressions for spectrum and the corresponding wave functions in an explicit form. This approach is also connected with the extended confluent hypergeometric differential equation to help in obtaining further specifications for spectrum.